Wedding is a big event for everyone in lifetime, and it is also a new milestone in life. No one hope that there is a pity on this vital moment. Except for wedding dress, wedding jewelry is a major thing on wedding ceremony. When it comes to the wedding jewelry, what is the thing that appears in your mind? Engagement ring? Wedding band? Wedding ring? Wedding band set? 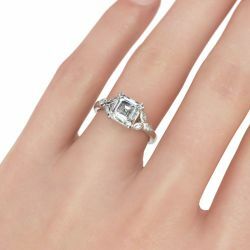 Engagement rings, bridegroom-to-be sends to bride-to-be when he proposes, is a formal commitment for the coming marriage; Wedding rings, or called wedding bands, is the symbol of married and the loyalty to marriage; Wedding Band sets, a pair of wedding rings, disclose that marriage is “0.5+0.5=1”. Jeulia Wedding Jewelry Collection covers all jewelries for wedding, such as rings, necklaces, earrings, bracelets and more. 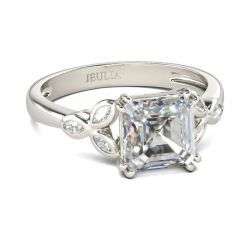 Lifelike style, premium quality, artisan handcrafted and best price is the reason why you choose jeulia wedding jewelry.